Joe Satriani's legal action against Coldplay has been one of the talking points of music in 2009. Satriani claims that Coldplay's 2008 song Viva La Vida copied "substantial portions" of his 2004 instrumental If I Could Fly. And a majority of a MusicRadar users agree with Satriani. While our poll results are not exactly scientific, they do suggest that if the action ever went to a court, a jury may also hear similarities. "If there are any similarities between our two pieces of music, they are entirely coincidental, and just as surprising to us as to him. 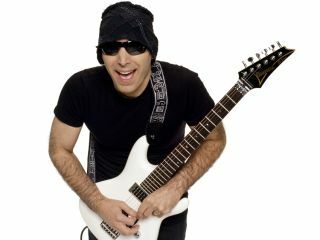 Joe Satriani is a great musician, but he did not write or have any influence on the song Viva La Vida. We respectfully ask him to accept our assurances of this and wish him well with all future endeavours." Here's what Joe Satriani told MusicRadar.